In Black Water Rising, Attica Locke made one of the most stunning fiction debuts in recent memory. Now she returns with The Cutting Season, a riveting thriller that intertwines two murders separated by over a century. Caren Gray manages Belle Vie, a sprawling antebellum plantation-turned-tourist attraction where the past and the present coexist uneasily. Outside the gates, an ambitious corporation has been snapping up sugar cane fields from struggling families, replacing local employees with illegal laborers. Tensions mount when the body of a female migrant worker is found in a shallow grave on the property, her throat cut clean. The police zero in on a suspect but Caren fears they're chasing the wrong leads. Putting herself at risk, she unearths startling new facts about the long-ago disappearance of a former slave that has unsettling ties to the modern-day crime. In pursuit of the truth about Belle Vie's history—and her own—Caren discovers secrets about both cases that an increasingly desperate killer will do anything to keep hidden. An African American narrator. That is too rare in my reading life. I love me some historical fiction, especially when it's this good. Ooooh, twists and turns that I didn't see coming! Hmm, the ending. I'm not sure I could have done what Caren did. You'll know what I mean when you get there. You WILL get there because you WILL read this book. More historical fiction, my fave! The ending, the ending, OMG the ENDING! Run, don't walk, to your local library and check out this book! Or you know, you could buy it. Steal it? I don't care, just read it. He has a memoir? I didn't know that!! Those are three books I can happily recommend. If I had to pick one out of the three? Heading Out to Wonderful. I had heard that "The Lotus Eaters" was a great book. The fall of Saigon was such a harrowing event. I think that reading accounts relating to it can be difficult. It was a good read, very cool to read about the fall of Saigon from an American women's perspective. 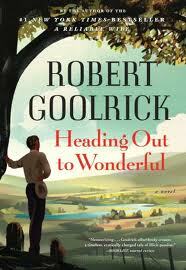 Completely sold on Heading Out To Wonderful - loved the cover, and the story sounds great. I've been meaning to read The Lotus Eaters for a while but not got to it yet; surprised it's been so long since it was published. I don't know how I missed The Lotus Eaters when it first came out. I suppose I can't read EVERY single book right away ;) I kept hearing good things about The Forgetting Tree and figured I'd read her first novel before the new one. I'm glad I did. I will definitely have to read Heading Out to Wonderful and The Cutting Season ASAP! Yep, I am totally a member of that Goolrick fangirl club. ;) I will also have to read The Lotus Eaters - the photography aspect really intrigues me. I am a freelance photographer but being a photojournalist would be a dream. Goolrick fangirl! Love that ;) I was really intrigued with the photography aspect of The Lotus Eaters. After I read the book I did some reading on the real life women photographers in Vietnam. Brave women! The Cutting Season and Heading out to Wonderf look really good. Not so sure about The Lotus Eaters. Vietnam is not my favorite time period to read about. I like your quick thoughts! I loved this post! 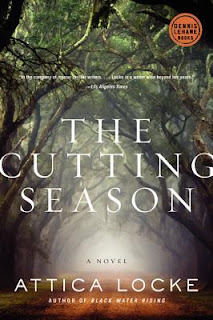 I have Cutting Season on hold at the library so I was pleased to see how much you enjoyed it. I have checked out Lotus Eaters before but returned it unread, seems like that could have been a mistake! Thanks! 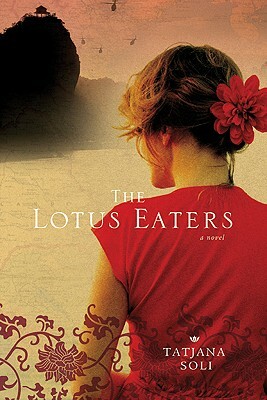 If you like historical fiction you can't go wrong with The Lotus Eaters, for real! I've got to get my hands on The Cutting Season. I have Heading Out to Wonderful. I need to pull that one out and push it up my list. Great reviews! Yes you do Alexis! It's a good and spooky read :) Thanks so much! My TBR list keeps getting longer! Me too Lindsey, and this one was particularly good! I really liked The Lotus Eaters, as well. It was fascinating to read about the war from the perspective of a female journalist. But oh my goodness, reading about the devastation in Cambodia toward the end was so completely horrific and haunting! Oh I know! :( Awful! I've read a few books about that time in Cambodia recently. My favorite was First They Killed My Father. Incredibly powerful.